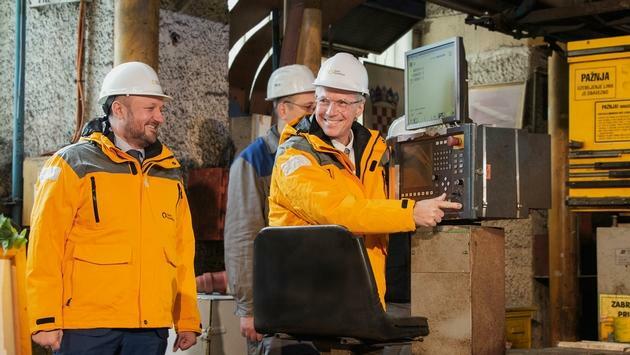 Quark Expeditions, the leader in polar adventures for three decades, celebrated the steel-cutting of its pioneering new ship, launching an exciting new chapter in polar exploration. The new ship from Quark Expeditions is the first of its kind, combining leading-edge technology, long-range operational capability and advanced safety systems to reach new frontiers in polar exploration. The ship’s numerous innovations will also minimize its environmental footprint to an extent previously unseen for a vessel of comparable size, including a sophisticated water treatment system, state-of-the-art waste handling, a leading-edge heat recovery system that recycles excess energy back into the ship, and the use of entirely recyclable materials to construct it. The dynamic positioning technology will also mean no need to anchor–avoiding damage to sensitive seabed ecosystems.